What Is a Keyseater Machine? With a keyseater machine, machinists and engineers can cut internal shapes and forms faster at less cost than other metal-cutting methods. Similar to the shaping process, keyseater machines move a cutting tool forward and back in a straight vertical line. The cutter is clamped into a holder and moves with a feed bar in a tool guide. The tool guide prevents deflection and allows the cutter to run according to the table configuration. A keyseater machine is usually the better option when it comes to cutting specific shapes, minimal runs, and larger parts. For example, end mills are limited to making radius corners. Meanwhile, keyseater machines can make square corners and cut slots. But what about broaching? Well, broaching isn’t always the most effective way to cut internal shapes and forms. Suppose you only had a few parts to cut, but didn’t have a standard broaching tool on hand. In this scenario, a keyseater machine is the better choice. 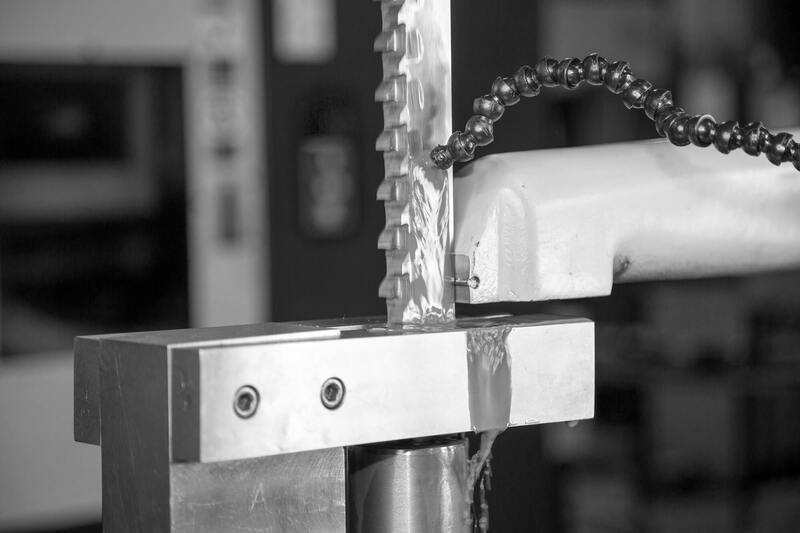 In some cases, a keyseater machine might be your only option (other than a vertical shaper) if a part is too large to cut with a broaching or wire EDM machine. For context, the Davis Keyseater can cut tool steel of 1/4″ wide x 5/8″ deep x 6″ length in just 10 minutes. When you’re cutting prototype or breakdown parts, a keyseater machine is probably your best bet. Keyseater and vertical shaper machines both use a single-point cutting tool that vertically strokes up and down to cut a part. However, their cutting methods offer subtle differences. The cutting tool on a keyseater machine enters through the BOTTOM of a part and PULLS material away on the down stroke. Meanwhile, the cutting tool on a vertical shaper machine enters through the TOP of a part and PUSHES material away on the down stroke. If your top concern is accuracy, you should choose a keyseater because it provides a tool guide. If you’re more concerned with cost, choose a vertical shaper because it’s flexible tooling requirements can provide somewhat lower tooling costs. Depending on your application, a keyseater machine can match or surpass the accuracy of other machining methods. For example, keyseating will match the accuracy of broaching if the part you’re machining is relatively small and soft. If the material you’re working with is hard and lengthy, keyseating will require more flexible tolerances due to cutting tool deflection. (FYI: Keyseater deflection is less over the course of the cut when compared to vertical shaping). Ask your provider to indicate tolerances when you submit a quote. When compared to more complex technology, a keyseater machine is a significantly more cost-effective method to cut internal shapes and forms. Pricing is similar to non-production machining operations including milling and grinding. Depending on your provider, you can typically select from a variety of keyseater tooling sizes and lengths. For example, we provide multiple standard cutters and cutter grinding to produce special customized cutters. Your provider might also modify guide bars and rings to suit your part size requirements. Oftentimes selecting keyseater tooling options is a significantly less cost compared to customizing a broach. 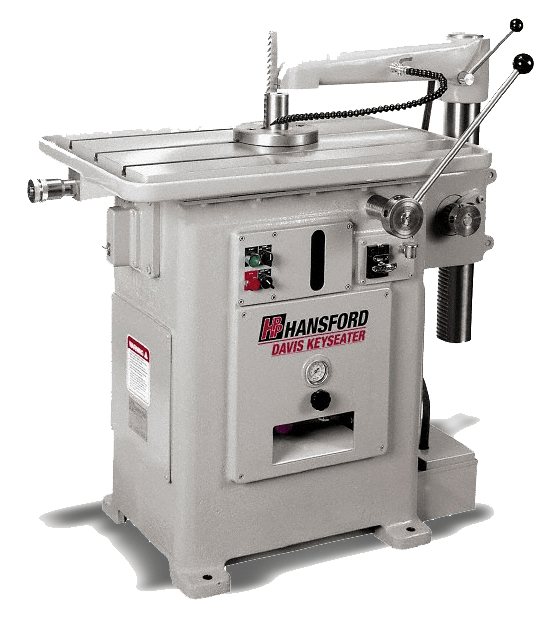 We at Hansford Parts and Products believe you can reduce machining cycle time and total cost with a keyseater machine. If this is important to you, please contact us. During our conversation we can discuss feasibility, potential time saving, and if the Davis Keyseater is the best-fit solution for your machining applications.